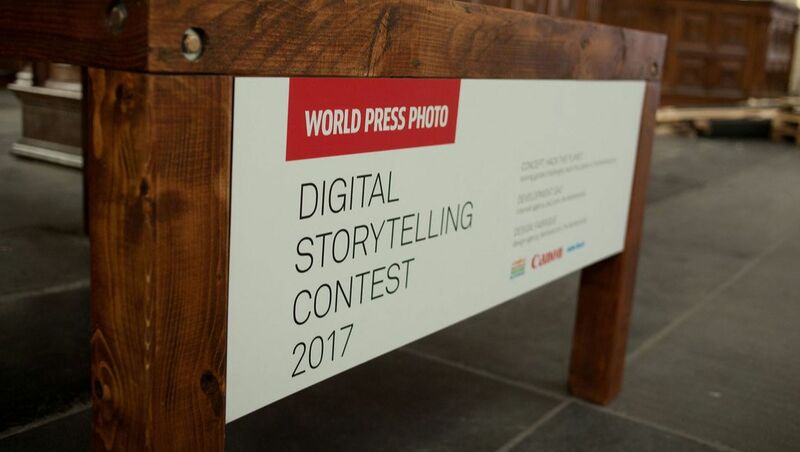 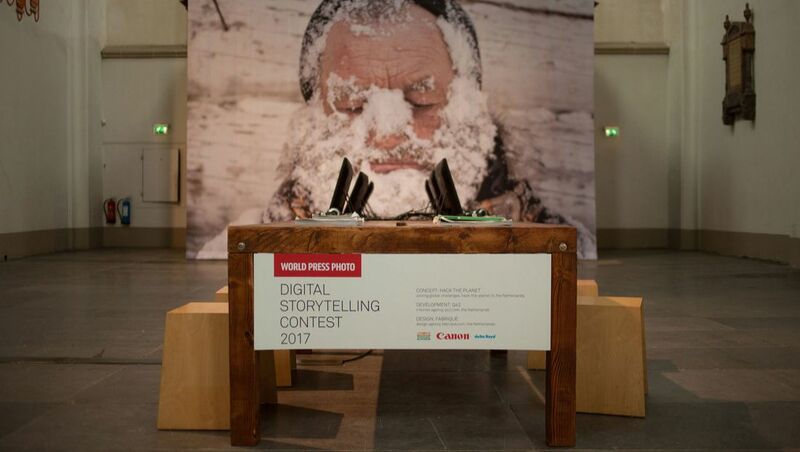 For the annual international exhibition of World Press Photo we made a 6 meter long table to present their digital storytellers. 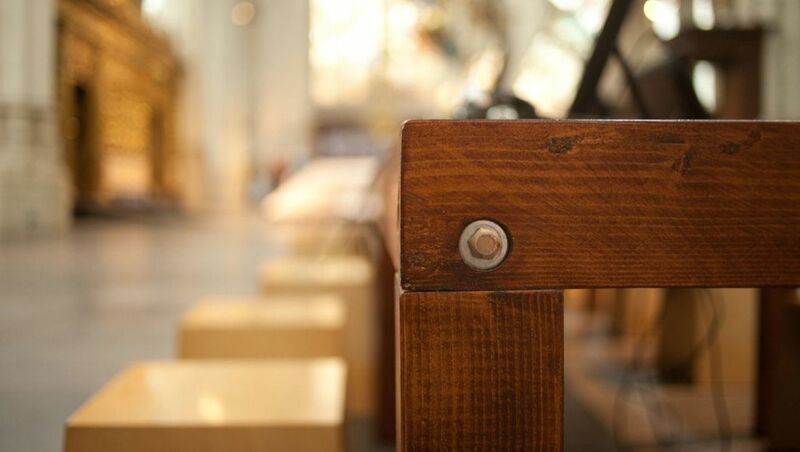 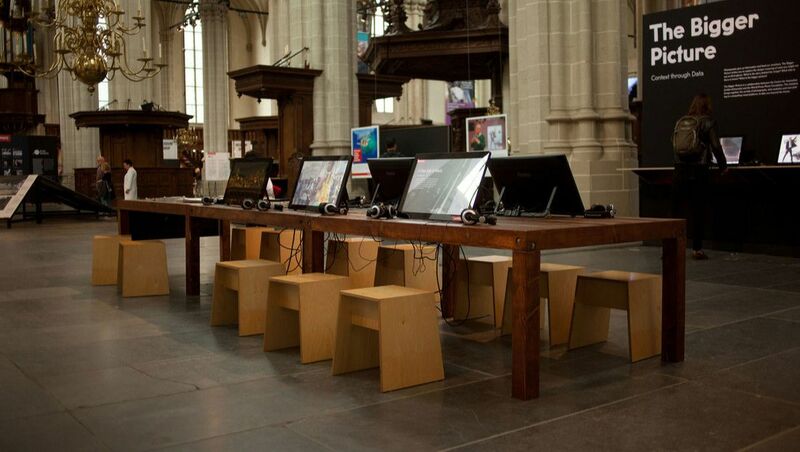 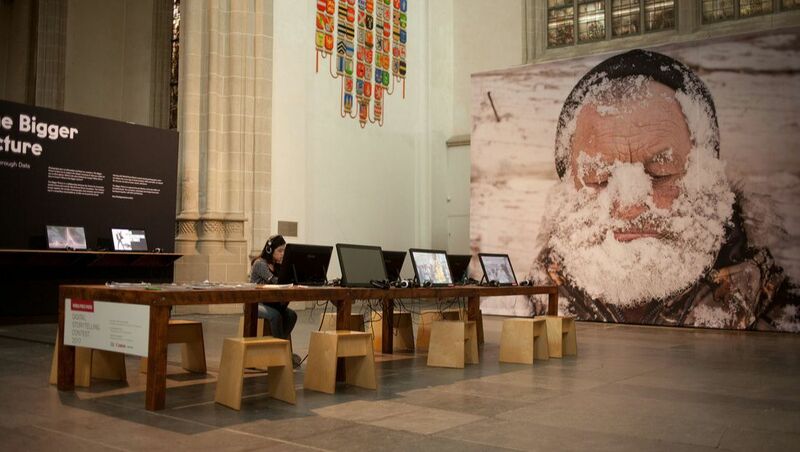 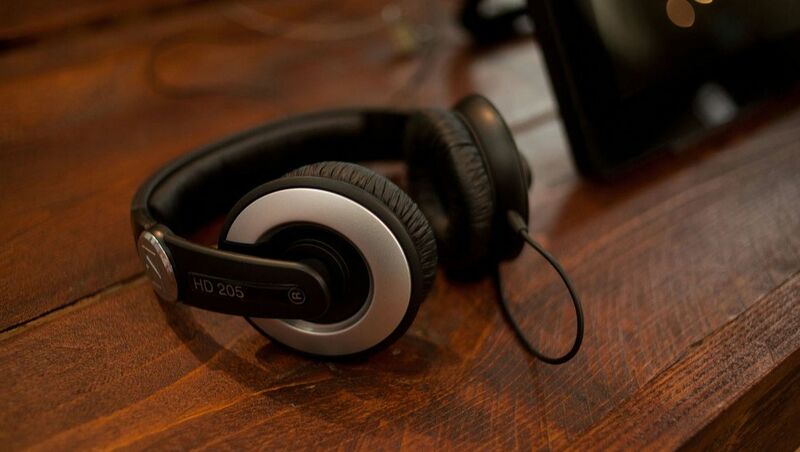 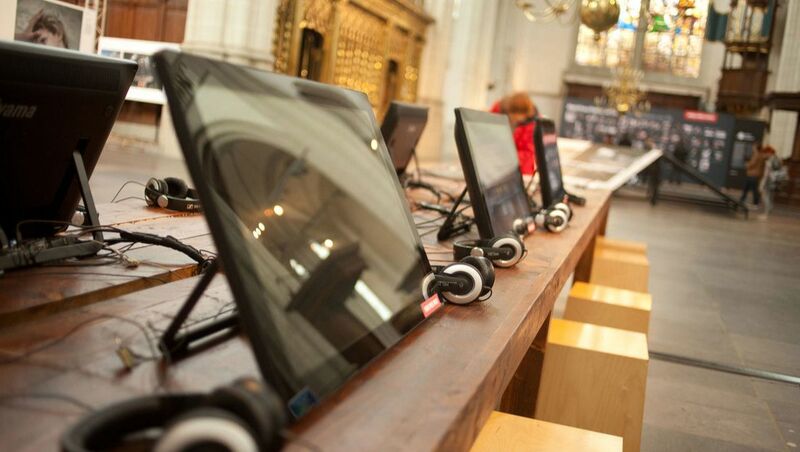 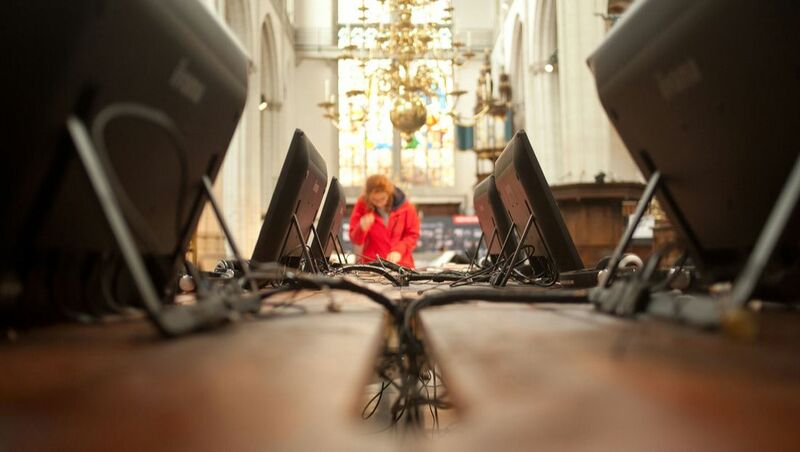 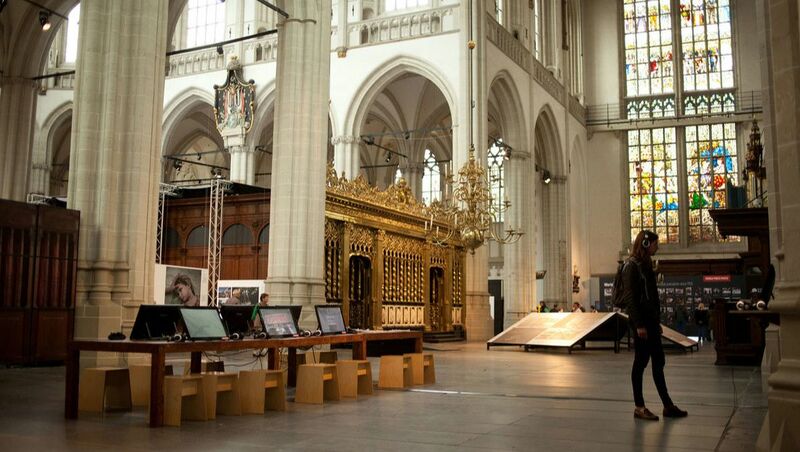 After a short design process, we realized the table in the Nieuwe Kerk in Amsterdam. 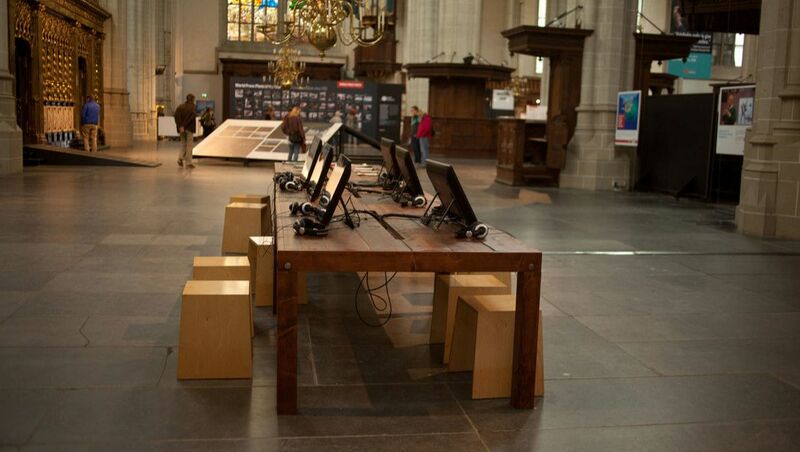 The table is divided into 3 seperated tables, made of scaffolding wood and finished with two colors of wood-stain so that the table fits in the old rustic interior of the Nieuwe Kerk.